Best Days: Sat: favourably light/variable winds in SE Qld in the morning, and Northern NSW down to about Yamba (freshening N'ly tending N/NE winds south of here) with building E'ly swells. 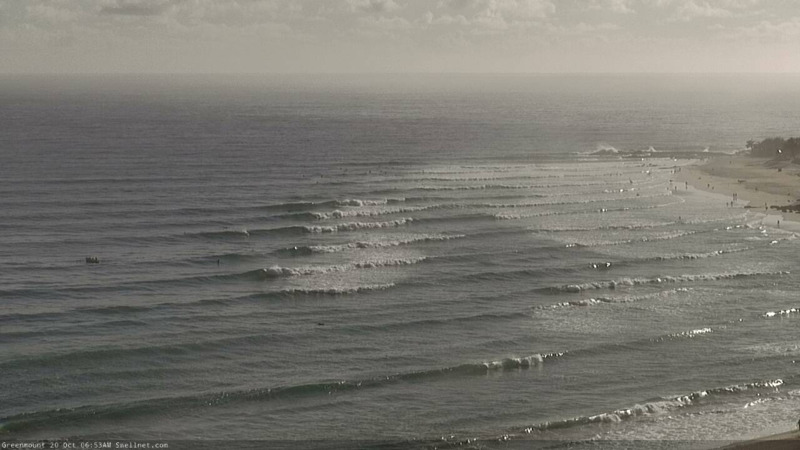 Sun: easing swells, possible window of early NW winds in SE Qld. 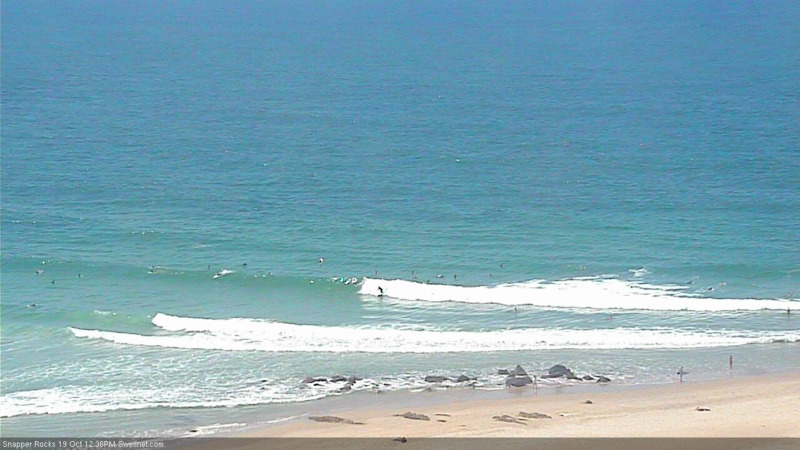 Mon: small leftover swells with mainly variable winds. 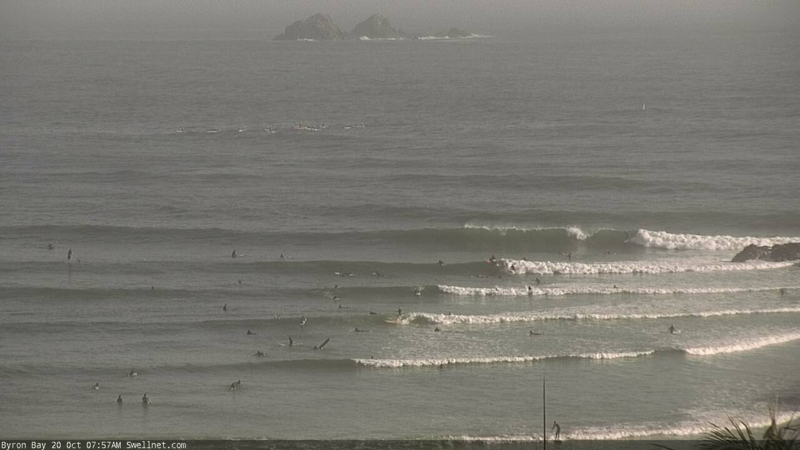 Recap: Plenty of surf over the last few days with most open beaches seeing 4ft sets out of the east, though winds have been up from the north-east at times so conditions have been bumpy. Wind speeds have been lighter in the north and there’s been workable windows, but the surf certainly hasn’t been anything spectacular. We’ve got plenty of waves ahead for the weekend, but northerly winds are really going to cause some problems. Most affected will be the Mid North Coast, which is expected to begin Saturday morning with light to moderate northerlies, becoming fresh N/NE by the afternoon and then persisting through Sunday morning as a shallow southerly change pushes up the coast. Model guidance differs on how far north the change will reach throughout Sunday - some have it stalling across the Coffs region through the middle of the day, bringing about a period of light winds through the afternoon; others delay the change until overnight Sunday (resulting in fresh NE winds for the entire day). Regardless, Saturday morning is the pick of the period with light variable conditions north from Yamba, lasting longer through SE Qld than Northern NSW. Sunday looks like everywhere will be northerly affected (apart from the Mid North Coast, which has the chance of the southerly as mentioned above), though early morning should see a brief period of NW winds throughout SE Qld and Far Northern NSW. As for surf - a broad trough in the central/northern Tasman Sea has strengthened over the last few days and it’s generating a fresh pulse of E'ly swell that’ll slowly build through Saturday ahead of a peak in the afternoon, before easing slowly on Sunday. We’ll see wave heights build slowly from 3-4ft to a peak around 3-5ft by Saturday afternoon, though this size range will mainly be found in Northern NSW, with smaller surf expected throughout SE Qld (thanks to the orientation and latitude of the fetch) under a more E/SE swell direction. Expect smaller surf throughout Sunday. We’ve still got a lot of potential for next week, but nothing concrete at this stage aside from Monday seeing easing E'ly swells from Sunday, and variable winds extending futher north under the influence of Sunday's stalled trough. A slow moving high near New Zealand and a surface trough north of Fiji will maintain a steady trade flow through this region, feeding into a broad trough across the Western Tasman Sea. No major surf is expected from the trade flow but it’ll be enough to maintain 2ft+ surf across most open beaches all week, with one or two days possibly nudging a little higher. An approaching short wave trough (read: cold front) from the west will activate the western Tasman trough overnight Tuesday and into Wednesday, though at this stage there’s no signs of any major swell generating system - sure, we may see a brief mid-week south swell for Northern NSW but current indications it’ll be bog standard for this time of the year. Otherwise, long term modelling maintains the troughy pattern across the eastern states which'll continue the pause on significant swell potential - all of the ingredients are setting there, it’s just the timing is slightly out at the moment. But I’m confident we’ll see something major materialise in the models over the coming days for this neck of the woods (likely for the end of next week or the weekend). If anything happens over the weekend I'll update in the comments below. 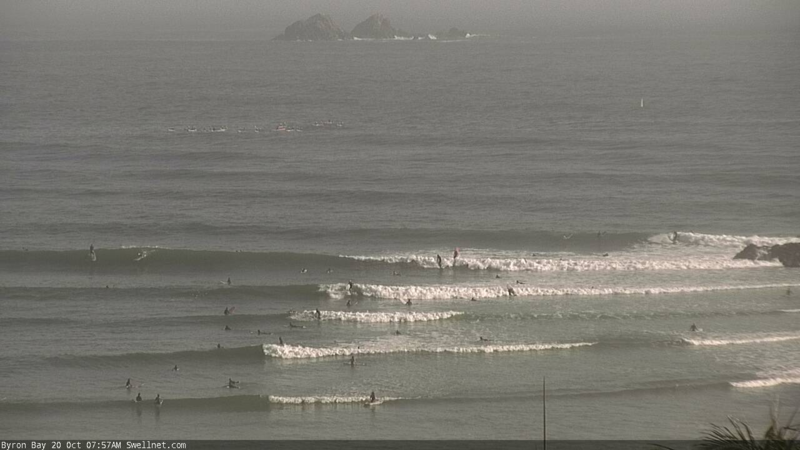 Nice lines coming through at Byron this morning. 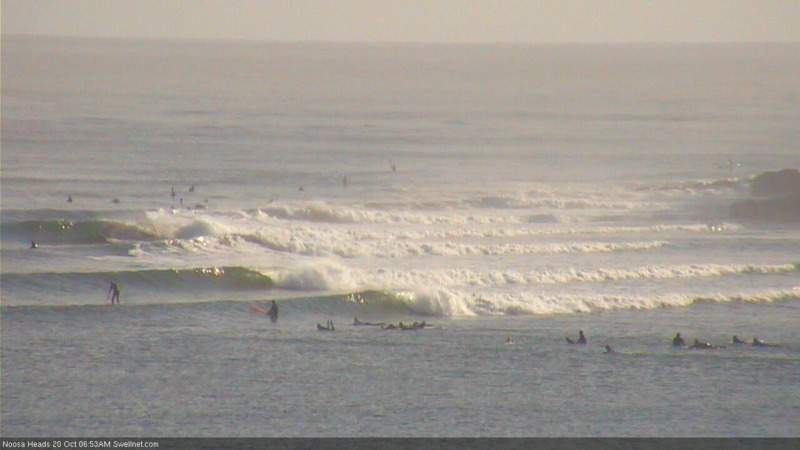 Nice lines through Greeny (though very fat with the high tide). And how's Noosa! 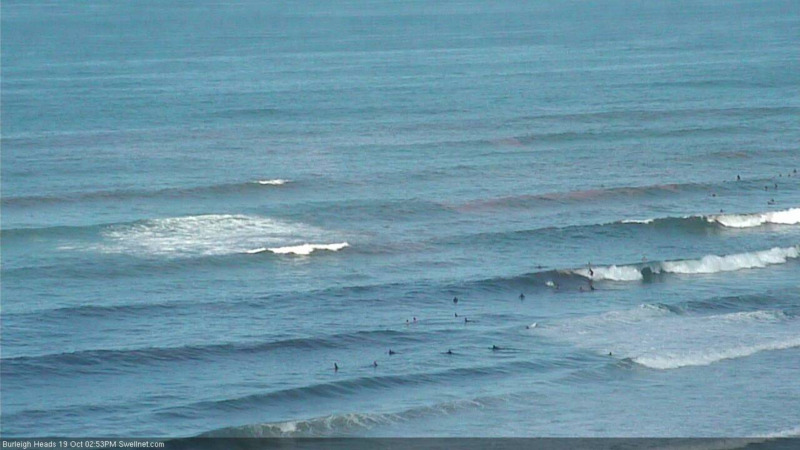 Wow surprising amount of NE in the swell then over the weekend. A lot bigger than yesterday. Why did I give away my 6,4?All I have now is a couple of piddle sticks that don't cut it on solid take offs. Stupidly Downsized!! Way bigger today. Spat out of a few. Good morning. Lower mid north coast has been absolute rubbish. 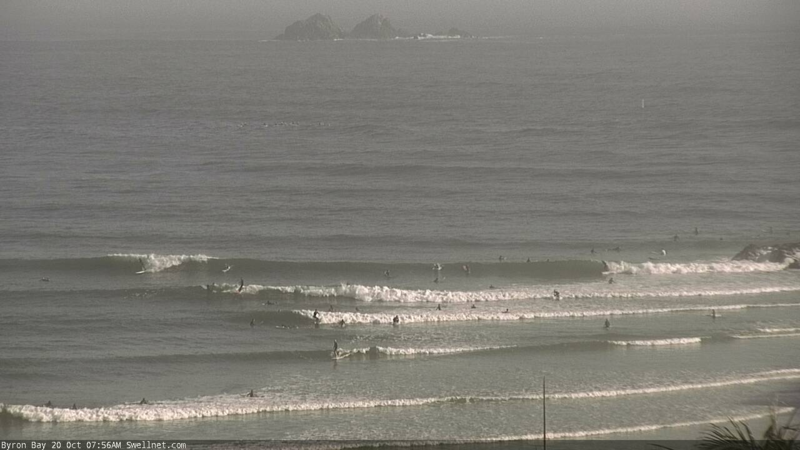 Total waste of swell, northerly winds at gale force at times and have not let up all week. Had I listened to my intuition not the industry chiefs I would still have my 6.4 and would be surfing solid stuff with ease. Expletives!! Did you think the surf was never going to get solid again? I was led to believe my new 6.0 could tackle anything and was all I need on my next surfari. You learn from mistakes, and I had indeed forgoten what solid was like. Ahhhh the old one board quiver trick! Bizarre winds today... typical troughy influence (further north than expected). 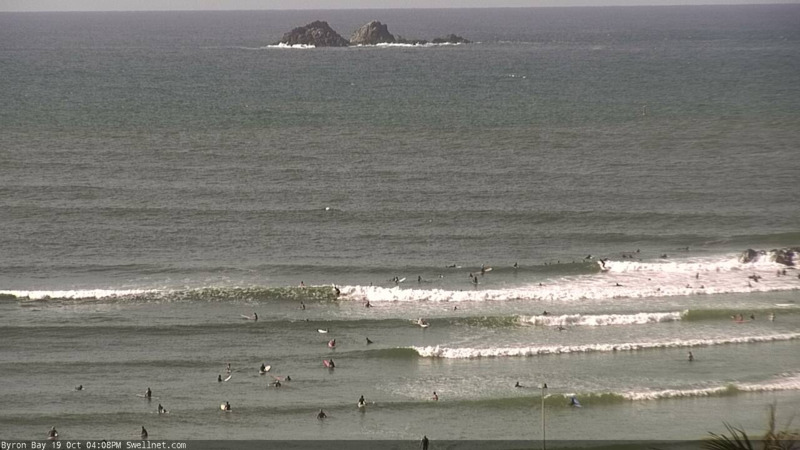 I Didn't really make the most of Saturday and now that the swell has eased I feel displeased.